A few years back, young entrepreneurs Joyce Esteban and Melvin Cheng (both 26 years old and have been dating each other for years now) encountered a small coffee shop hanging by a thread in Malate, Manila. Back then, they had no clues that it would eventually be a big part of their lives. Although the original owners of Red Baron Coffee saw the potential in their small business, larger and more established coffee shops were keeping them in the shadows. 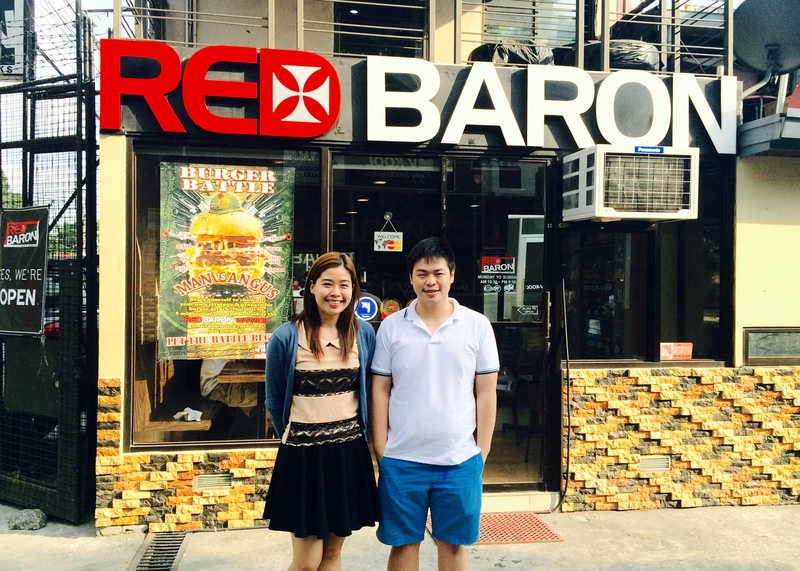 "Red Baron originally started as a coffee shop in Malate in 2009," recalls Joyce. "The market wasn't too accepting then because of the presence of major competitors like Starbucks." The shop’s original owners (Reupert and Lynn Sy) managed to make ends meet but later on tried a new strategy---relocation. Red Baron Coffee moved to a smaller and more practical location in D. Tuazon St. in Quezon City. It was there where Melvin, who happened to be a supplier to a carwash center in the same area, got to know its owners. After jointly acquiring half of ownership in the business, Melvin and Joyce worked with the original owners and started breathing new life into the struggling coffee shop. Despite having no culinary background, their common taste for steak and Melvin's passion for cooking paved the way for the creation of a worthy menu for their new business. "We both like eating steak. Melvin knows how to cook really good steak and I knew that will be our advantage." Joyce says. "We expanded our offerings and included meats and other meals, but at the same time, we retained the beverage menu of the old coffee shop, with a few additions." In a short while, the old coffee shop was transformed into Red Baron Ribs and Steaks. 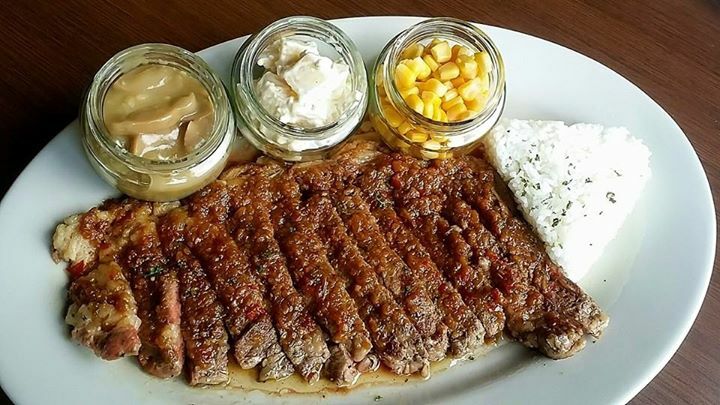 Presently, the menu includes a variety of steaks, burgers, ribs, and other food items that both of them enjoy eating. Melvin proudly shares that all the meat in their dishes are of either Australian or U.S. grade, ensuring maximum quality and taste. And based on customer feedback, their menu is apparently working. Handling one business is hard enough but this romantic-turned-business partners have more than just that on their plate. Joyce is still working as a front desk staff in a large hotel south of the metro, while Melvin is managing his main business (in the chemicals sector) on the side. Their business partners also do their share in managing Red Baron. How do they do it? The partners assume their own sets of responsibilities in running the business. Joyce is handling much of the marketing tasks, while Melvin is hands-on in operations, together with the Sy's. "Of course, there will be relationship issues sometimes but that's to be expected," Joyce discloses. "And having a regular job on the side makes it more difficult. But at the end of the day, the hard work becomes worth it when you know what you're working for is yours." Melvin and Joyce admit that they had dark days behind them and even more ahead of them--days when the shop would have fewer customers and days when they feel as if this isn't going to work. But for them, it should be expected. They don’t ever lose optimism and hope. "It's a risk at the start [and] there's no assurance that the business will click. You just have to believe that it will work," Joyce shares. So far, Red Baron is doing well. In fact, its owners are now preparing to open its third location, still within Quezon City.